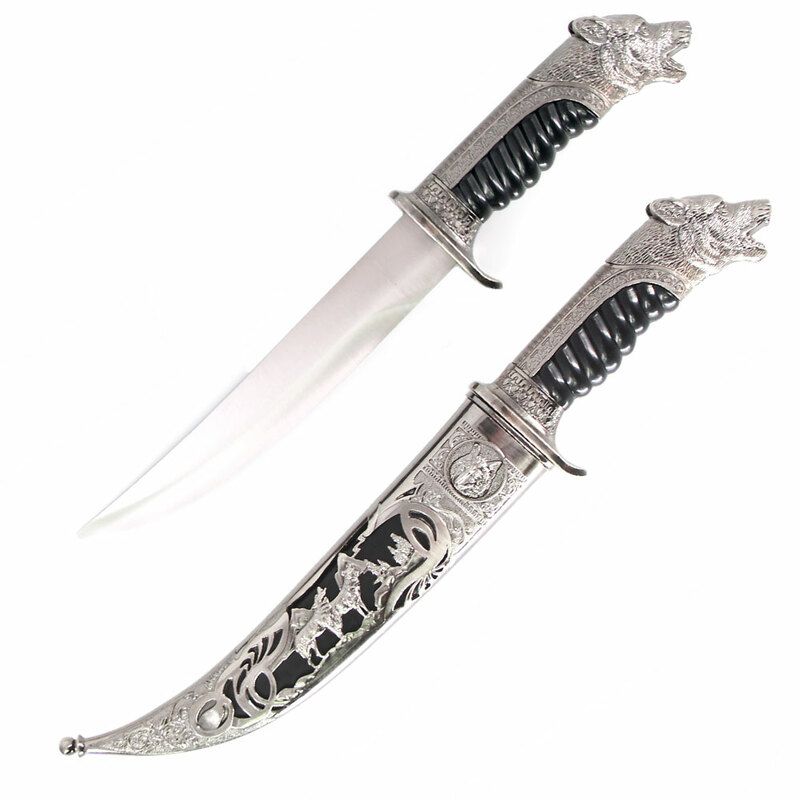 An antique silver finish contribute to the rustic appeal of the zinc alloy metal scabbard. Antique silver detail accents the guard, pommel and the handle. A highly detailed cast of a roaring wolf head forms the pommel.